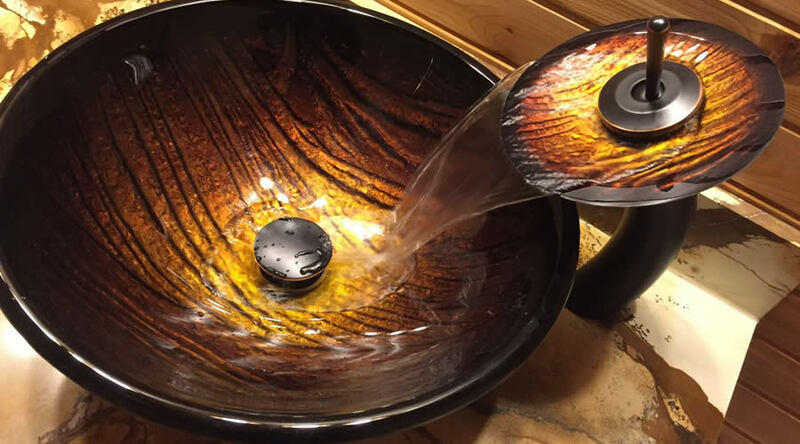 Algonquin Rustic Luxury Utopian Chalets. 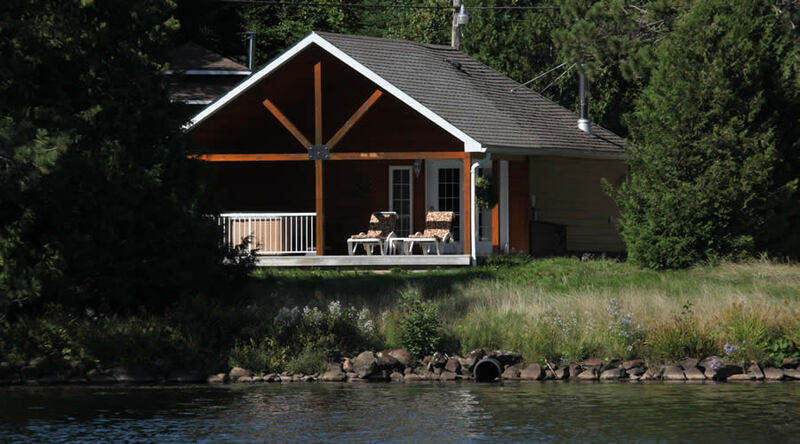 These two Chalets are lakefront and completely finished in dark cedar and are with private hot tubs. 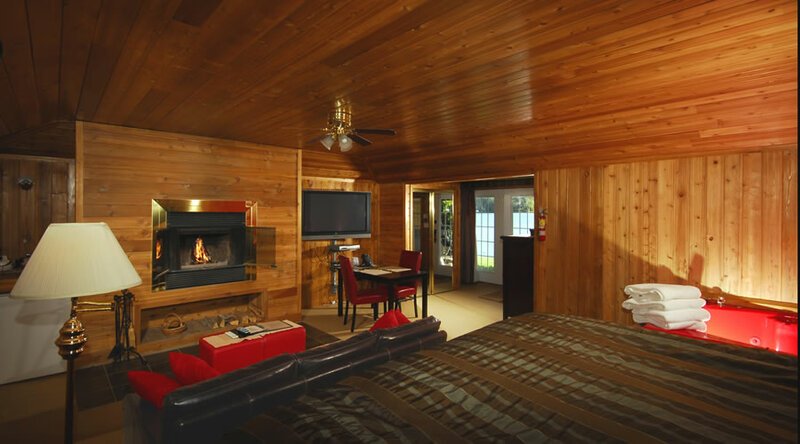 Enjoy original Canadiana Cabins while indulging in the atmosphere of pure wood and natural stone. 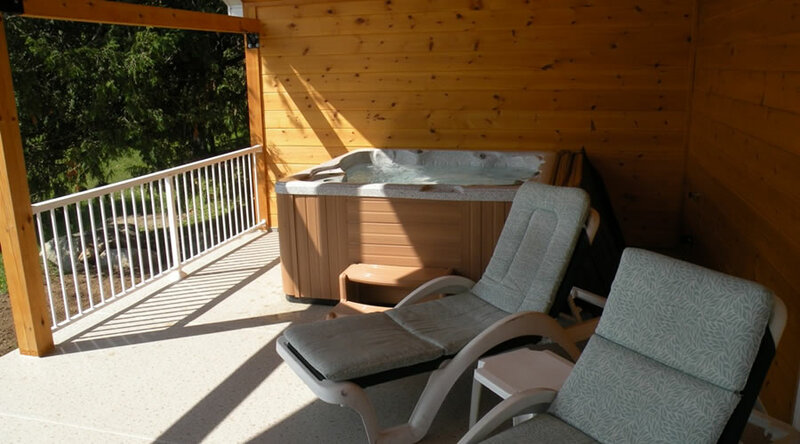 One will be completely Spoiled by the soothing Luxury of both the indoor Jacuzzi and the Outdoor Hot Tub. In the Spring, Summer, Fall head out through the French patio doors onto your large sun deck with two padded chaise lounges and enjoy the outdoors. 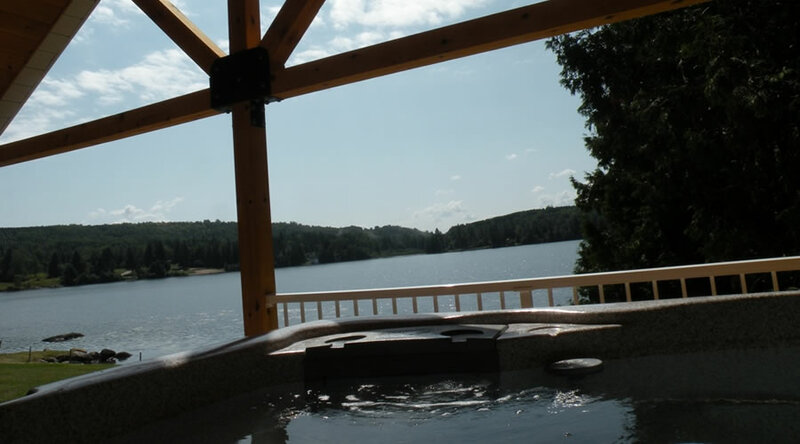 On your deck, look out to see the shimmering lake before you, look across the lake to the shores of the majestic Algonquin Park. In the winter, before snuggling down to a warm night by the fire, put on the ice skates and go for a whirl around the rink. Walls and Ceilings are finished in Real wood Cedar and make the cabin darker, but great for romance. 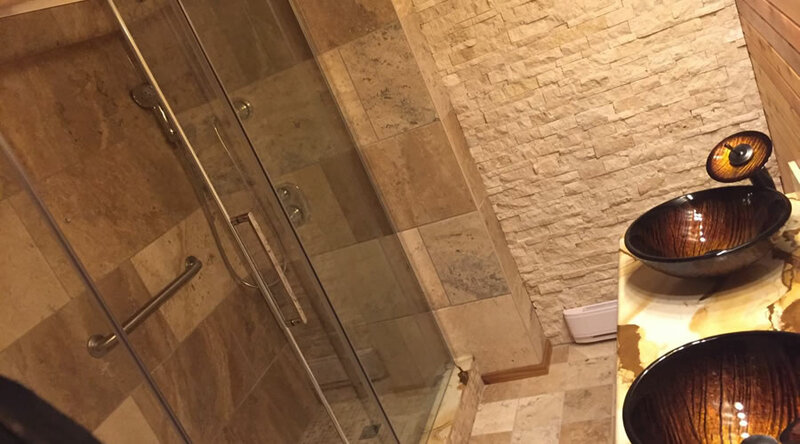 Bathrooms; where Rustic meets Nature, All Marble. Plus Rain Shower.